Besides of course the history you can share from China, Native Americans, Egyptian, as well as Europeans and the Colonists of America, I found this great short lesson/experiment on Teacher Vision. It has a nice introduction about how the Native Americans did natural dyeing. 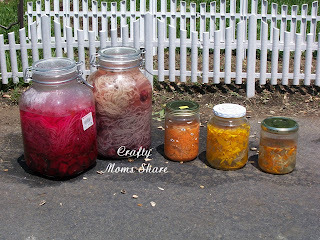 Then it has a short activity dyeing fabrics in plastic bags using carrots, beets and red cabbage. They have the student rinse and then use detergents to see which stays in the longest. You could also change it to different mordants (ie. white distilled vinegar, salt, alum). Some mordants will change the colors as well. Anyway, back to my craft. 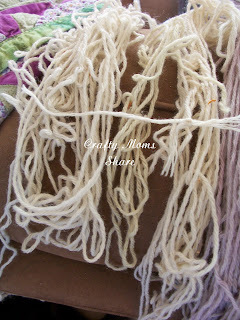 This is actually day 3 of my natural dyeing experiments. I wanted to share this one with you since it uses the carrots and beets from the activity mentioned above. To learn about my experience with red cabbage, you will have to wait until later in the week! I did a lot of experimenting today with dyes and methods. I tried orange marigold flowers (from Hazel's fairy garden), sunflower petals and sunflower seeds, carrots, blackberries, and beets. Beets definitely were the most successful. Half way through the day I decided the sunflower seeds had not done anything, so I threw the yarn in with the blackberry mixture. At the end, the blackberries hadn't had enough time to do much to this yarn so I threw it into the beet dye and took it out maybe 10-15 minutes later. 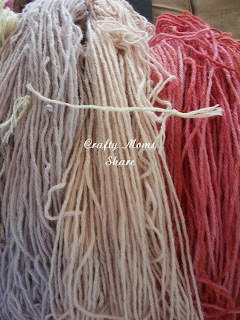 It came out a pale pink (see picture above--middle skein). The sunflower petals did not seem to be doing much either, so I added more and tried putting them in the food processor. At the end I threw them in with the marigold petals since it was a bit darker. 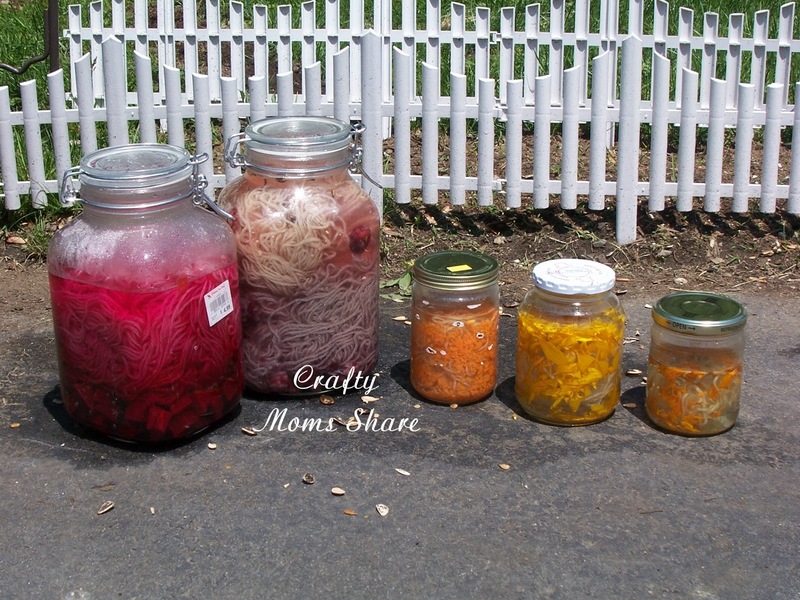 Oh, and our day started with breaking one of our big jars when we poured the beet dye in off the stove. Red dye all over my kitchen. Not fun! I also experimented with method the past two days. Instead of always cooking the dye, I tried putting the fruit/vegetable or flower in with the mordant and then added boiling water. I did this to make it more kid friendly. Hazel just had to stay away when I added the boiling water. Today I did try to cook the beets, but as I explained I broke the glass so I went with the boiling water method. In this picture you can see the piece of original color so you can see all of them have a slight new shade. I think if I was to do this again I would let them sit over night in these dyes. I will post Day 2 on Friday!! My mother has agreed to knit Hazel a striped sweater with all my home-dyed yarn!! She will actually finish the sweater unlike me!! 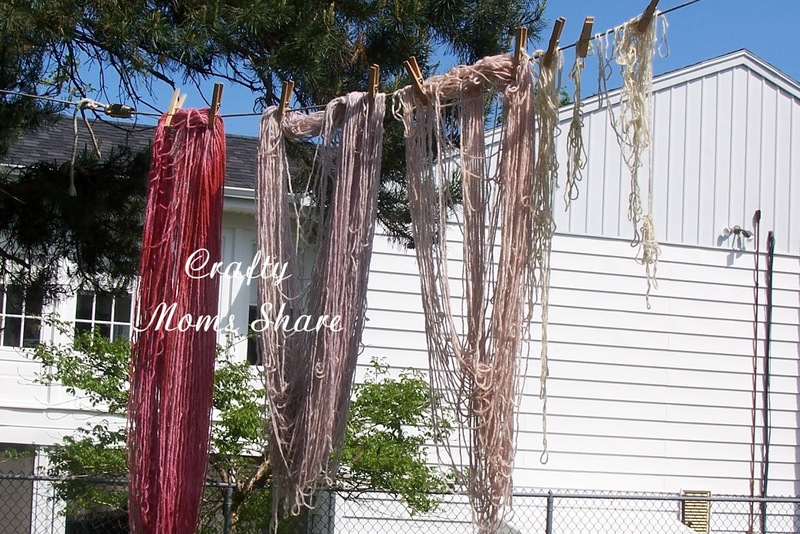 I think it's so cool how you are dyeing all your yarn and a good learning experience too! I am loving the results you got from the beets!!! So pretty! 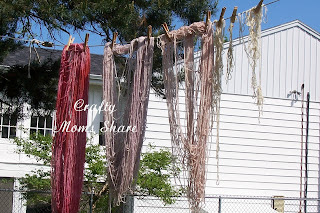 I did some experimenting once with natural dyes, and it's definitely a learning curve! Great images. Awesome experiment, I love the variation in colour. Interesting dying with naturals. I love that your daughter will receive a handmade sweater from this experience. It will definitely be an heirloom. You and your daughter are making memories that will be part of your family's history. How fun! I love how they ended up turning out. That is great and what amazing colours they turn into. I think the beets are beautiful too! Did any of the berries of marigolds come out scented? I'm so curious! Thanks so much for sharing at Teach Me Tuesday!! 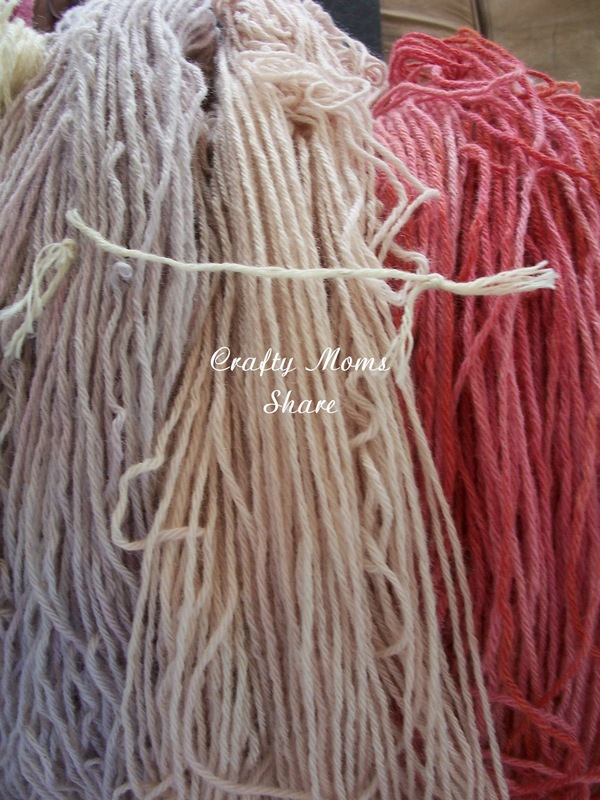 I'm so intrigued by natural dyeing. One day I will try it! Thanks for the inspiration! Such vibrant colours and really even tone too. Thank you so much for sharing this with me at www.worldwidecultureswap.com - I'm really looking forward to seeing what you get up to this month.